Handwriting analysis is to identify the person who has written a particular document. Our handwriting experts usually analyze both the requested as well as the collected writings. In our lab, we recognize the patterns in handwriting by analyzing the handwriting on a questioned document to determine the author of the document. 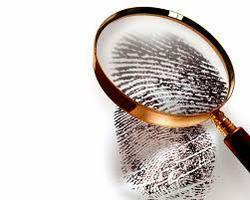 There are times in a death claim investigation that fingerprints from the remains of the subject are not obtainable. In our lab, we recognize patterns in fingerprints by analyzing fingerprints on a questioned evidence to determine the suspect.